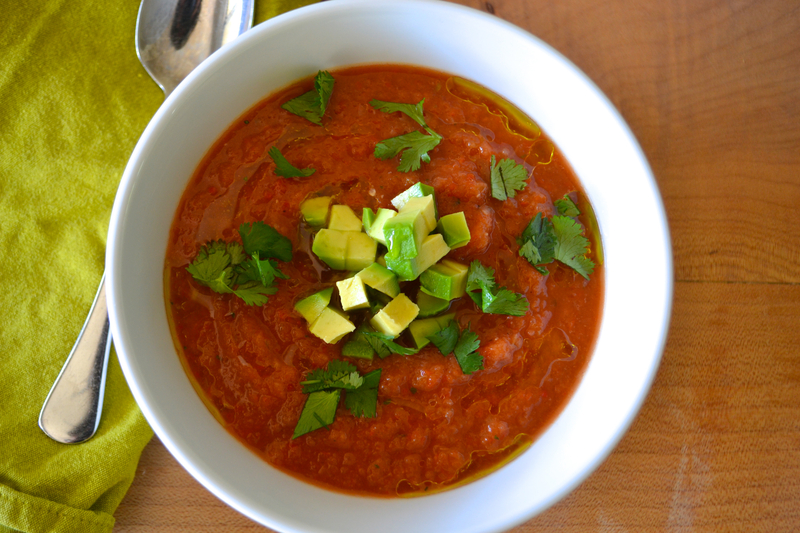 Since I posted that somewhat decadent strawberry tart earlier this week, I thought I would redeem myself by sharing my favorite recipe for easy-to-prepare, incredibly healthy gazpacho soup. This soup makes a wonderful, light meal when served with a slice or two of rustic bread. It also makes an excellent first course to a meal of grilled fish or chicken. If you’re serving wine, pair it with a crisp, relatively dry Chardonnay. Place the chopped bell pepper, cucumber, celery and onion into a blender. Add half the tomatoes and 1/2 cup water. Pulse or blend until the chopped vegetables have been further chopped to a consistency you like. 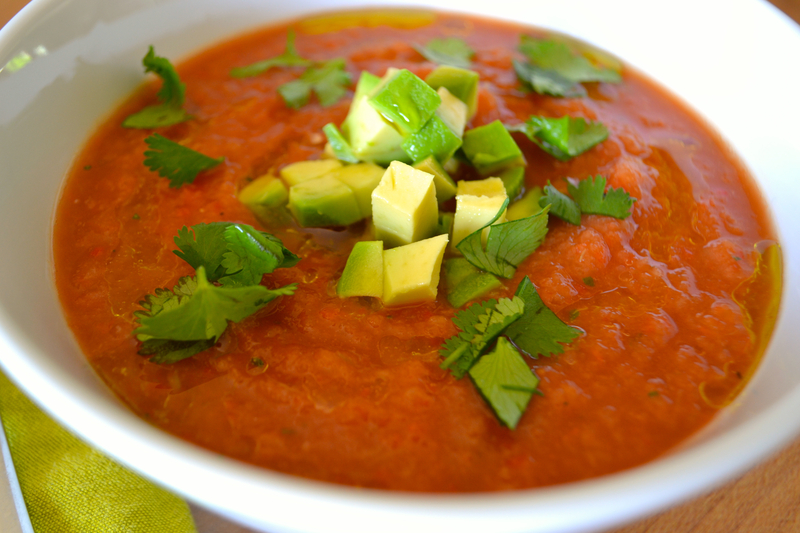 I like my gazpacho to have texture, but I dislike large chunks of anything. Add the remaining tomatoes along with the garlic, vinegar, red pepper flakes, 1 tbsp olive oil and Worcestshire sauce. Blend. Season with salt and pepper to taste. Chill for at least 30 minutes. When ready to serve, pour into soup bowls. Garnish with a drizzle of olive oil, a little chopped avocado and a sprinkling of cilantro.